In Before the Thunder Rolls, former Motor Racing Outreach chaplain Dale Beaver reaches for the hearts and souls of NASCAR fans. From his years with the Nextel Cup Series, he offers inspirational insights and anecdotes about individual racers and crew members, including Darrell Waltrip, Dale Jarrett, Ward Burton, Bobby Labonte, Ryan Newman, Jimmy Spencer, Bill Elliott, Jeff Gordon, Tony Stewart, and others. 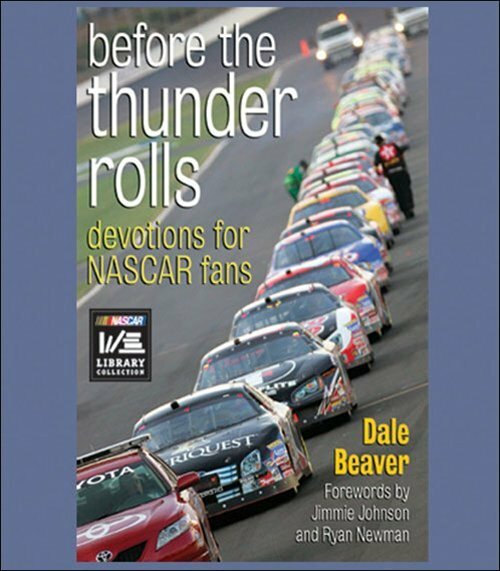 Each makes profound and often witty connections between the behind-the-scenes details of stock-car racing and the Christian life.